Patricia Klinefelter's watercolors, oils, pastels, ink and charcoal paintings capture various pastoral settings and scenes from the islands of coastal Georgia, the New England states and countries she has visited throughout the world. 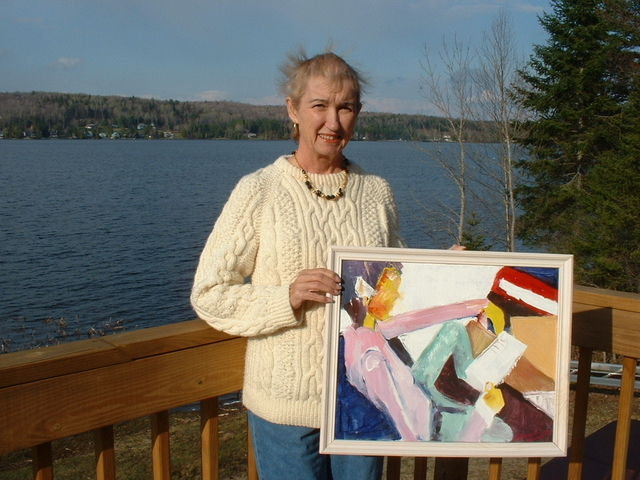 Ms. Klinefelter is a noted portrait and still life artist who has exhibited her works in Canada and the United States. She has participated in individual, juried and non-juried art shows. She has studied at the Mass College of Art and has taken a number of classes with noted artists (Peter Granucci, Tom Lynch, Chuck Parsons, and Ken Wallin) throughout the United States. Ms. Klinefelter is a member of the Glynn Art Association, the Jekyll Island Art Association, the International Artists Association, the Plein Air Painters of New Hampshire and St. Simons Island, Georgia, the Connecticut River Art Group, and the Arts Alliance of Northern New Hampshire. As a child afflicted with a hearing loss, drawing and painting became ways of expressing myself. I cannot remember being without a pad and pencil. I loved creating works of art. I now enjoy mixing colors to manifest my thoughts about a person, place or thing.